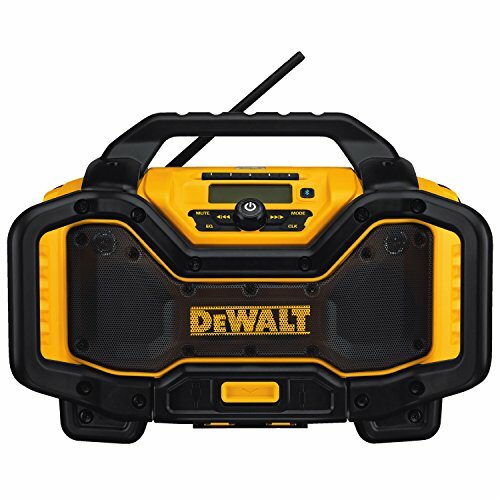 Dewalt DWST17510 TSTAK Portable Bluetooth Radio with Charger is a sophisticated, built tough for use on the jobsite or rough and tough conditions. Features Jobsite-Tough Design with IP54 water and dust resistance. It provides great sound with a bass resonator and Bluetooth connectivity for cordless streaming of music and audio content from your mobile device. So, you can take your favorite music along for any adventure or to any jobsite with this DWST17510 Portable Bluetooth Radio. This is the perfect upgrade to your jobsite storage. The DWST17510 TSTAK Portable Bluetooth Radio provides loud and high-quality clear sound with 4 full-range speakers, 1 active subwoofer, and 1 assisted bass resonator, which produces sharp highs, rich mids, and deep bass at all volumes. Balancing durability with convenience features, a convenient phone storage compartment protects your device. A fast USB charging outlet and Aux audio output provide added convenience. 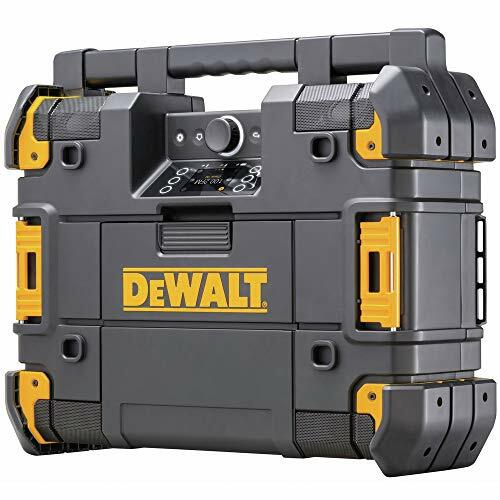 Cordless operation and charger functionality works with and charges all DEWALT 12V MAX, 20V MAX, and 60V MAX batteries, including FLEXVOLT. Stacks with any TSTAK module using side latches. 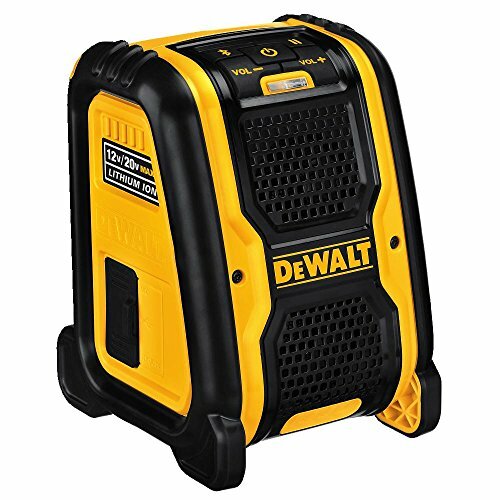 Dewalt DWST17510 TSTAK Portable Jobsite Bluetooth Radio will help to make your workday fly by. Featuring a high-performance audio system and jobsite-tough design that will stand up to the rigors of the site.